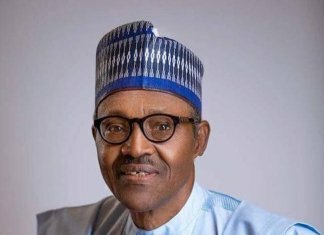 One week after the Independent National Electoral Commission (INEC) declared President Muhammadu Buhari of the All Progressives Congress (APC) as the president-elect, the electoral umpire has failed to provide explanations on discrepancies noted in the results of the February 23 presidential election it announced last Wednesday. And following the rising objection to the use of smart card reader by prospective candidates in the forthcoming governorship and state Houses of Assembly elections, the electoral body has insisted that the use of the electronic device is mandatory. The substantive issues are discrepancies in the number of registered voters announced before and after the presidential election as well as disparities in the number of voters accredited and total votes cast at the poll. 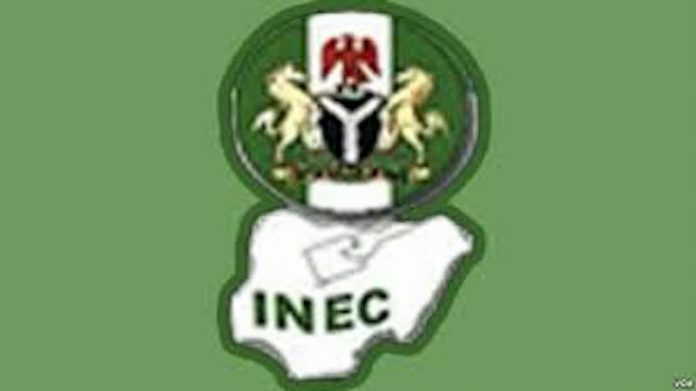 Prior to the presidential and National Assembly elections, the INEC had revealed that the total number of registered voters was 84,004,084. 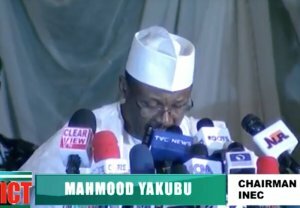 But announcing the result of the election, the INEC Chairman, Prof. Mahmood Yakubu, put the number of registered voters at 82,344,107. Also, in order to ensure voters were not disenfranchised, the commission adopted simultaneous accreditation and voting, which it believed, would save time and also discourage discrepancies, but this was not to be, considering what was witnessed during the exercise. While declaring Buhari as the winner, saying he polled a total of 15,191,847 votes to defeat the Peoples Democratic Party’s (PDP) Alhaji Atiku Abubakar, who scored 11,262,978 votes, Yakubu said 29,364,209 voters were accredited, while the total number of valid votes cast were 27,324,583 with total rejected votes of 1,289,607, putting total votes cast at 28,614,190. This means that a total of 1.6 million people were missing in the voter register, considering the fact that the number of registered voters was over 84 million, while the number of collated voters, according to the INEC chairman, was over 82 million. A couple of presidential candidates’ agents, particularly Chief Osita Chidoka of the PDP, made a heavy weather of these discrepancies. But Yakubu subdued the agitations with a promise to issue a clarification before the close of the collation exercise. That did not happen. For days THISDAY pressed senior INEC officials, including the Chief Press Secretary to the chairman, Mr. Rotimi Oyekanmi; Director of Voter Education and Publicity, Mr. Oluwole Osaze-Uzi; and National Commissioner and Chairman Voter Education and Publicity, Mr. Festus Okoye, to clarify the discrepancies, including the need for the commission to publish the total accreditation captured by the SCR, but met a brick wall. 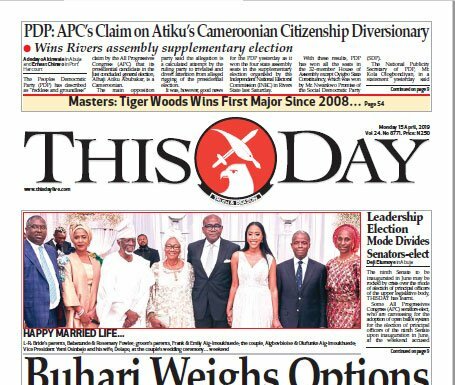 Okoye told THISDAY yesterday that he would need to consult the Information and Communication Technology (ICT) department of the commission before he could respond to its enquiries, promising to respond later in the day. Worried by the discrepancies, Chidoka, who was at the national collation centre had disclosed that the main opposition party did not accept the result as representing the valid votes of Nigerians. He stated: “We have made three issues: first, after all the investment in technology, we required INEC, after spending N27 billion in this year’s budget alone on technology, we had expected that today, INEC would have, for the purpose of transparency not just for law, have projected to us the result of what the card reader that they used displayed about the people that went through the card reader verification. That singular act put a dent in the image of the election. “The second one is the issues we raised about the number of registered voters vis-à-vis what the chairman now calls collated voters, meaning that 1.6 million people are missing in the voter register. We think that issue is substantial enough to require a resolution. “We also believe that the difference between the accredited voters and the votes cast, which came to about 750,000 votes requires an issue to be looked into. “So, in our view, this election required to be looked at again and possibly we would have had rerun. More importantly, we think that INEC should have looked consciously to the use of the card reader. But despite the protest by the PDP, Yakubu said the commission would deliberate on it before taking a decision. However, after about three hours of deliberation, the INEC chairman insisted that the difference in the valid votes and cancellation was insignificant to impact on the general outcome of the election. He stressed that all the observations raised by the opposition were noted and would be needed for future elections in the country. “The first one is that the figures of accredited voters in relation to the votes cast were not adding up in one or two instances. We have noticed that and our preliminary investigations and analysis revealed there are a number of figures that were carried from the field and were adding up and the states were also adding up from 176,000 locations nationwide at polling units and voting points. “From there, the figures were adding up at the ward level, which we have 8,809 nationwide. From there to the local government of which we have 774, and then the state declaration or collation centre and the FCT making a total of 37, before coming up to Abuja. “From what we have seen, the disparity cumulatively is actually less than two per cent…And therefore the information on the smart card reader is slightly to be higher than the actual ballot, meaning the vote cast but this is only by way of preliminary investigation. “Yes, we believed that there have been cancellations, however, in the case of presidential election the cancellations did not affect the conclusion of the process. Meanwhile, INEC has insisted that the use of SCR in the Saturday’s elections is mandatory. Okoye, in a statement yesterday, said the clarification became imperative because since the conduct of the presidential election, there has been an allegation from certain quarters that the INEC was selective in its use of the electronic device. Okoye noted that the allegation has led to speculations that INEC might be forced to jettison its use in the March 9, 2019 governorship, State Houses of Assembly and Federal Capital Area Council elections. Okoye stated: “INEC hereby states categorically that the allegations are absolutely false and the speculations are without any basis whatsoever. The commission added that to clear any doubt or ambiguity, the deployment and mandatory use of smart card readers in next Saturday’s elections would not only be uniform but also universal and the provisions of the Regulations and Guidelines would be strictly and vigorously enforced, meaning that all stakeholders are to note and be guided accordingly.